Love Prediction of Aries and Pisces - Are They Really Compatible? Home » Aries Horoscope » Love Prediction of Aries and Pisces – Are They Really Compatible? 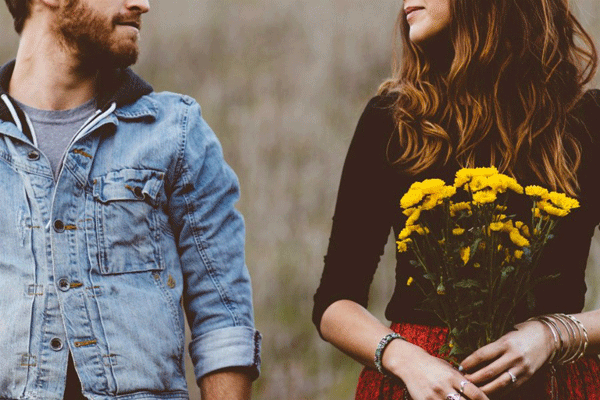 How compatible are Aries and Pisces emotionally? When bringing the Ram and the Fish together, they can be very good for one another. At first glance, they seem like an unlikely pair; yet in reality, the couple does have potential. A powerful Arian can be the ‘protector’ of a sensitive Piscean. Their emotional and personality differences work perfectly here. These two are mutually inspiring and enable to help each other become better individuals. The combination of a fire sign and a water sign will give you steam. Both may have an initial attraction for each other; however, the connection between Aries and Pisces seems not very strong because they are quite different in a few ways, following Aries Zodiac Compatibility. The good thing is – this relationship has chances to develop greatly. When there is love involved, Aries and Pisces can fulfill one another’s needs. The Fish is extremely intuitive, so the Lamb has to take good care to return this favor; otherwise, Pisces will begin to see the partner as selfish and stingy. 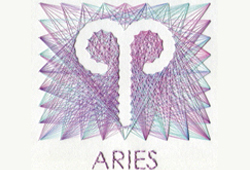 Overall, how well Aries compatibility with Pisces will depend primarily on the circumstances in which they meet. When romance is in the air for this couple, it can be a highly spiritual and tender partnership. Piscean intrigues the Arian partner deeply, and Arian has a lot to learn about emotions, intuition, as well as all things mystical from their emotional Piscean mate. Meanwhile, the adventurous Ram will show Pisces that dreams don’t have to stay as dreams; they can teach the ‘dreamer’ how to make dreams into reality. Well, the compatibility of these two zodiac signs is like a win-win situation. Can Aries and Pisces Match Last Long? Aries is a romantic at heart, while Pisces has a soulful, complex nature that is easily affected by the vibes and emotions. In love relationships, Aries tends to take on the role of protector; however, the funny thing is – Pisces is the ‘real‘ protector. This intuitive, deeply understanding partner can provide a relaxing sort of refuge for the hectic Ram. Only Pisces understand Aries in a deeper way comparing to other signs; also, they know how to keep their Aries from becoming overly brash. Together, both signs form a dynamic union and can achieve possible consequences. Yet, like any other zodiac sign combination, Aries and Pisces match does have the negative side. As you possibly know, Aries is not a very subtle sign, so it will take much time to notice when the Pisces finally reaches the limit. It will often be too late, in most cases, when the Fish has already left and never comes back again. Though the compatibility of Aries and Pisces promises a lot, neither of these two sign feels satisfied after a while, especially after the novelty has vanished. Anyway, astrologically, Fire cannot go deep into Water without being put out. In fact, it’s not until the relationship is in the danger of going wrong that the differences between this pairing become apparent. While Pisces experiences an emotional breakdown, Aries might lose patience with their gentle companion. If both decide to end, they will surely regret it as this is a partnership which’s well worth keeping. This love match turning out to be successful is estimate at 50 out of 50. So, are Aries and Pisces suitable for each other? They really have a lot to learn from one another. While the Piscean teaches the partner how to empathize and care, the Arian shows how to make dreams happen without just thinking about them to the companion. Theirs is truly a reciprocal relationship!